Nowadays, your readers want more: you need to share emotions with them through real interactions based on more personal experience. The Home Appliance Industry in Europe, 2017-2018: by the numbers! The third edition of the publication “By the numbers” of the home appliance industry in Europe shows a set of significant trends that have the potential to make a difference to the society. Manufacturers have made concrete steps towards their 2025 goals - advancing sustainable lifestyles, living the connected home and accelerating Europe’s growth. “Every edition of the APPLiA report aims at enriching the data snapshot we provide for the sector” stated Paolo Falcioni. 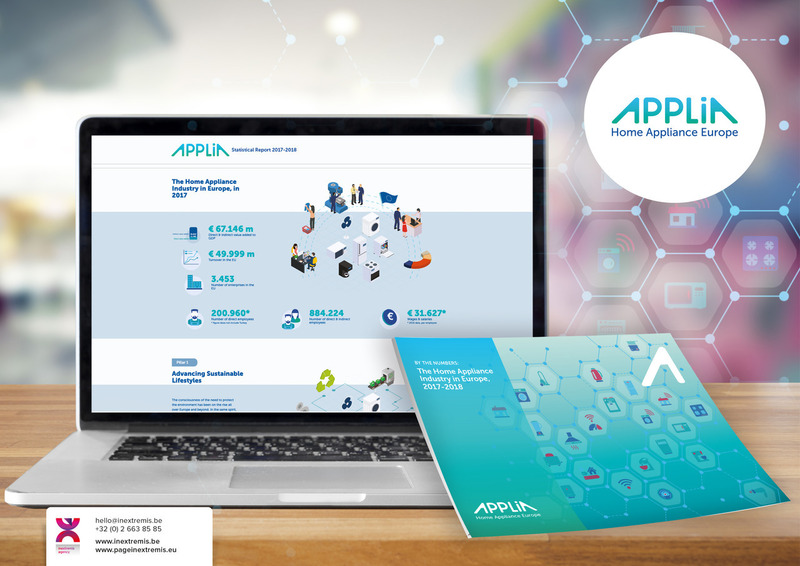 The APPLiA Director-General continues: “While in the previous version of the report, we illustrated the circularity of the material flows of the industry, the greatest novelty this year is the insight on how reparable home appliances actually are”. The report is a valuable tool to lead an evidence-based discussion and the facts in it are indispensable in setting the vision of an innovative, forward-looking home appliance sector. The publication is developed in 2 versions: a 48-pages publication and a whole online version. 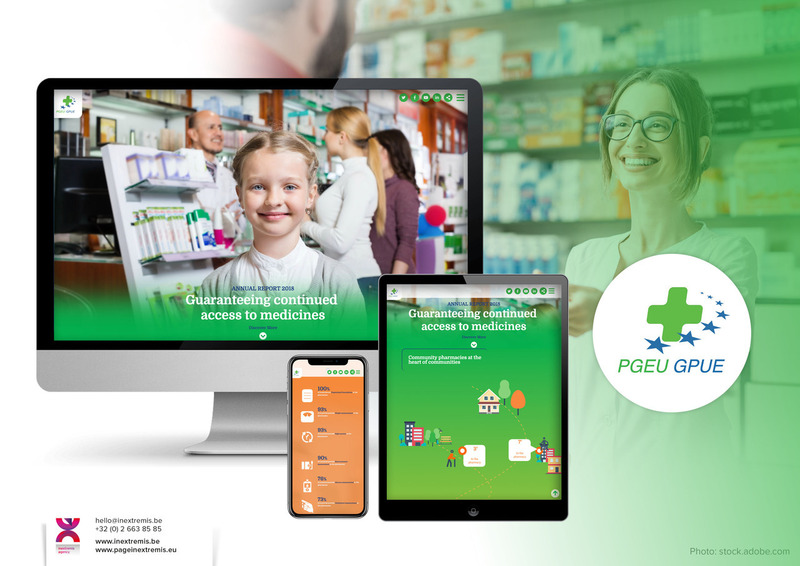 The Communication Agency, Page in extremis is proud to have contributed in osmose with the APPLiA communication team to the creative development and the graphical production of the 2 publications. “Essentially, each reputation arena has a different logic for earning reputation. On the one hand, what is important is expertise, facts, and a good monolog. On the other hand, earning reputation demands throwing oneself into the dialog, emotions, and passion. All of the arenas are inherently public” Aula, Pekka, Heinonen, Jouni in The Reputable Firm: How Digitalization of Communication Is Revolutionizing Reputation Management (Management for Professionals). Driving decarbonisation through road user charging – will it work? The European Road Transport Conference, IRU’s leading event in the EU, brings European lawmakers and influencers together with road transport business representatives for a constructive dialogue on the future of our sector. The conference will take place in Brussels on 6 March. Supported by the Romanian Presidency of the EU Council, this year’s conference will focus on the urgent need for the European road transport sector to decarbonise and the best ways to do so. Will solutions such as road user charging work for European businesses? Join EU Transport Commissioner Violeta Bulc and other transport leaders for an exciting exchange of ideas. Discover the programme, the speakers, the venue and register on the conference website developed by the communication agency Page in extremis in close collaboration with the IRU’s communication team. 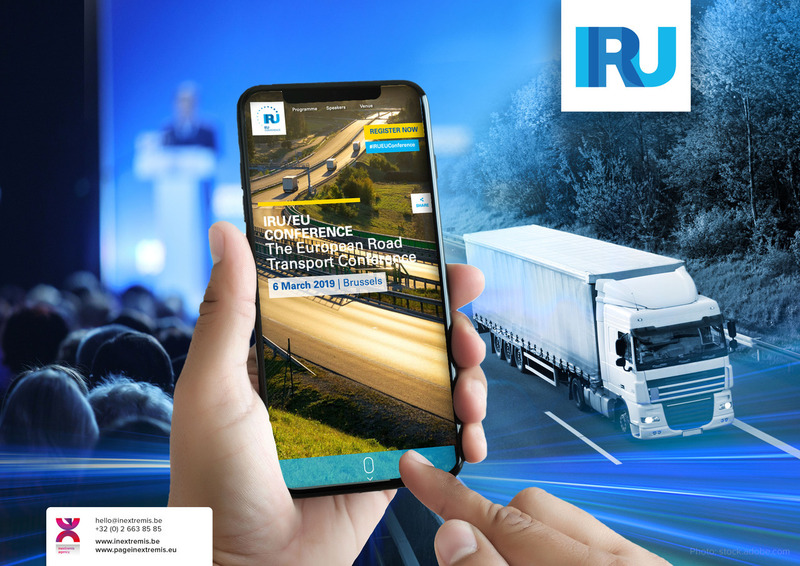 IRU is the world’s road transport organisation offering solutions to improve transportation around the world and thereby promoting trade, economic growth, employment, security, the environment and communities. IRU offices in Brussels fully support the latest European innovations in the field of transport, both in the field of commercial vehicles and in the area of public passenger transport. 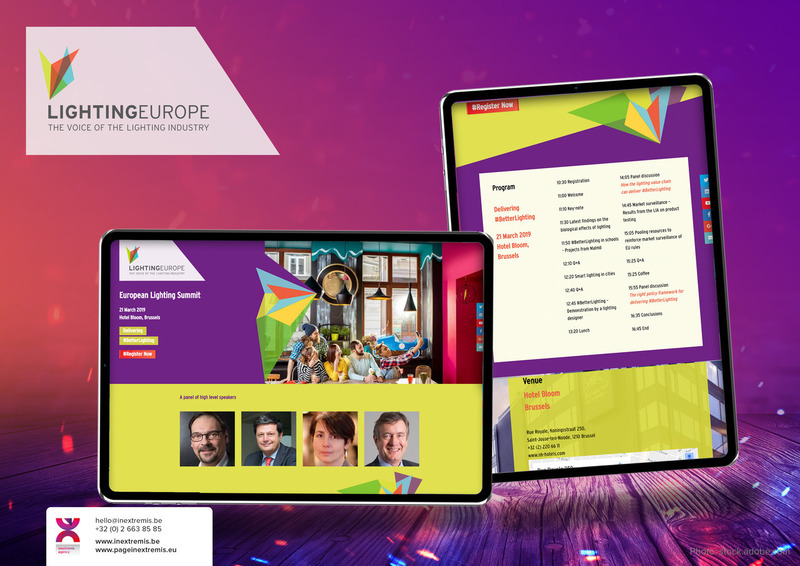 Page in extremis realises major web-based communications projects for many well-known European institutions, associations and global groups. 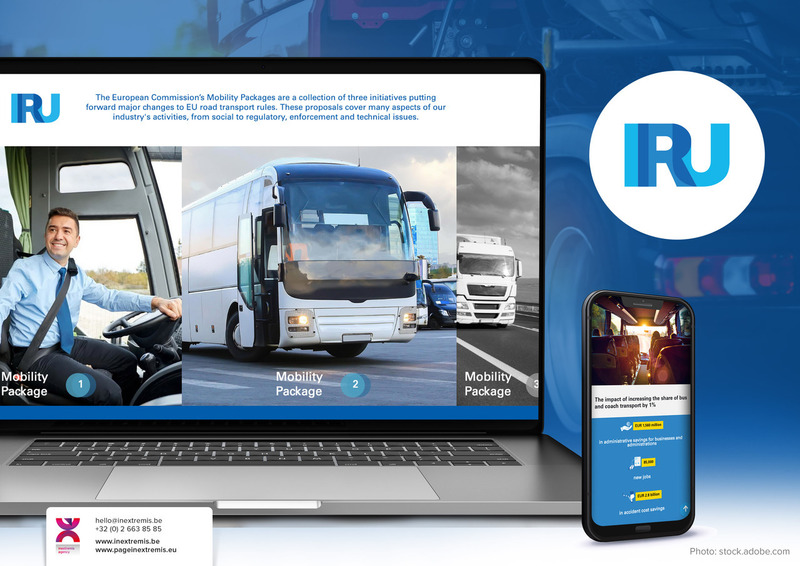 As part of its activities, IRU has published a web platform presenting the European Commission’s Mobility Package. The European Commission’s Mobility Package is a collection of 3 initiatives concerning the governance of commercial road transport in the European Union. It represents the most significant change to EU road transport rules, covering many aspects of the industry’s activities. IRU has entrusted the communication agency Page in extremis with the development of the web platform. “Historically, brands have promised quality – the quality of the product, service or experience. Now, increasingly, consumers expect more of brands. As the spotlight on the social and environmental behaviour of corporations intensifies, and consumer interest in ethical issues grows, brands need to meet expectations” Clifton, Rita in The Economist: Brands and Branding.